My Fair Concubine was a wonderful and very memorable story. I loved this vibrant and exotic China where Jeannie Lin took me, it was full of colours and interesting customs. The writing was unique and conveyed the atmosphere of Ancient China perfectly and the characters were also wonderful. 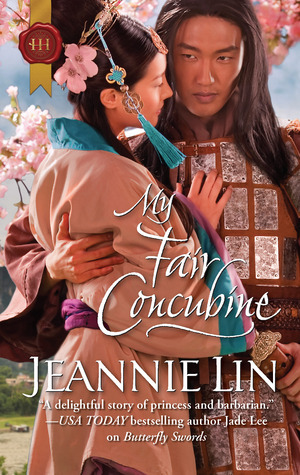 I believe I have discovered a new favourite author and I wholeheartedly recommend My Fair Concubine for any historical romance lover! I’ve been always fascinated by China and its rich and colourful culture and history so when I heard of My Fair Concubine a historical My Fair Lady (one of my favourite stories!) retelling set in ancient China I desperately wanted to read it. At first I had a few concerns and unfounded fears about reading a historical romance set in faraway China (so unusual and completely unprecedented in the novels I have read where the historical romances tended to be set in Regency England or Scotland), but My Fair Concubine was an enchanting story no historical romance lover should feel any reservation to read. Both the hero and heroine of My Fair Concubine are memorable characters. Yan Ling is a feisty and vivacious young woman who still aligns to the female idea of the time: she is respectful and humble and does her best to learn and make Fei Long proud. And Fei Long, oh Fei Long… *dreamy sighs* he is an extraordinary hero. He is all that is honourable, selfless and responsible. He denies his own wishes and needs for his duty and his sacrifices and the way he carried the family’s burdens all alone made my heart ache for him. He was a wonderfully intense and good man. The romance between Fei Long and Yan Ling started out slowly. Their relationship was not about instant attraction or lust but grew through a steady understanding and respect of each other which engendered the blossoming of affection and later love. They had spent every moment together for the past few weeks, on the road and then at his home and yet he hadn’t seen. They had shared meals, slept in close quarters, and he had never noticed. Now [she] seemed too far away. He wanted to be next to her so they could watch the adventure unfold. She would whisper questions to him. And he’d answer. He’d make up answers just to have something to say to her. ‘I think of you, Yan Ling, more than I should.’ A wave of longing struck him. ‘When I see your face at night, I don’t see the tea girl or the elegant lady. I only see you.’ He could see her now, even though he couldn’t face her. Her soft confession nearly unravelled him. He had to get this all out and be done with it. ‘The only hours of the day when I’m truly awake…’ her lower lip trembled ‘…are when I’m with you.’ He dug his nails into his palms. It was the same with him, the very same. Yan Ling was his sanctuary, a butterfly trapped within cupped hands. But no one could ever keep a butterfly. He’d have to let her go. 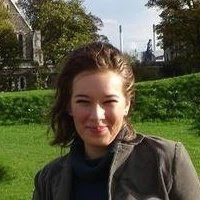 And I think that Jeannie Lin bridged the restrain and honour-bound duty philosophy of the East with the drive for love and happiness of the West amazingly. In My Fair Concubine, besides the main characters and their sweet blossoming romance the setting also played a central part, and Jeannie Lin transports the reader through time and place to an exotic and exciting China, which is bursting with colours and flavours. I loved reading about the Chinese traditions which were peppered in the story making it an interesting and educative read as well. Her outer robe was a thin, lace-like material and patterned with silver butterflies. The silk sheath she wore inside was a pale blue and the black of her hair caught the light. It was combed smooth and pinned on top, but otherwise allowed to fall free down her back. He could make out the shape of her shoulders through the gown. Verdict: My Fair Concubine is a very unique historical romance spiriting the reader back to a spellbinding ancient China. The writing is evocative and flows smoothly, Jeannie Lin’s narrative captures and beautifully conveys the soft differences compared to other historical romances. The romance between the hero and heroine is sweet and powerful and the story is vibrant with colours. Full of the colourful cultural connotations, all the silk and painted clothes and houses, but also full of colourful characters (Bai Shen was a particular favourite of mine!) and a mix of interesting, romantic, heart-squeezing and humourous scenes. A must read love story and one I urge you to take a chance on, you will not regret it!